BTS is set to release a new album later this week, as a trailer for “Persona” has hinted at a throwback to its hip-hop sounds of the group’s early days. 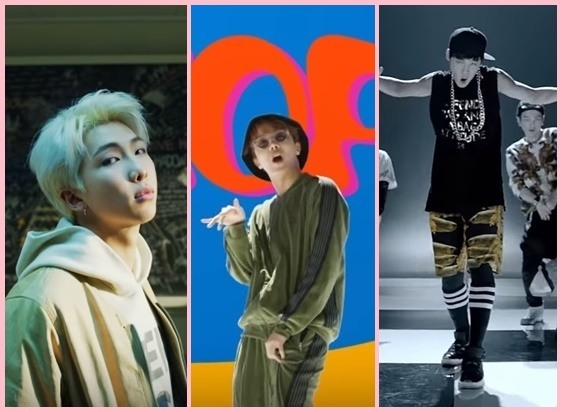 In celebration of the new release, Kpop Herald has put together a list of some of the best hip-hop tracks the group has put out so far. The track from the group’s first studio album, “Dark & Wild,” was released in August 2014. Written by Pdogg, RM, Suga and J-Hope, the song lives up to the original title of “Hip Hop Phile” in Korean. The four-minute song is full of rapping and a smooth chorus. In the lyrics, it’s clear the group draws inspiration from hip-hop acts both at home and abroad, including Jay-Z, Nas and Epik High. Suga is known to have been artistically inspired by Epik High, and the BTS bandmate was featured in Lee So-ra’s recent single “Song Request,” written by Tablo of Epik High. The hip-hop track was first released as part of the group’s fifth EP, “Love Yourself: Her,” before it received the remix treatment by American DJ Steve Aoki, featuring rapper Desiigner. The video for the single has racked up over 460 million views, making it one of the most watched music videos from BTS. RM, who took part in the making of the song, has said he was inspired to write the song after former US President Barack Obama’s mic drop at his final White House Correspondents’ Dinner appearance in 2016. The act of dropping one’s microphone often takes place at the end of an impressive performance as a show of confidence. The collaboration between RM and Wale came in 2017 in the form of a special single. The politically tinged song touches on contentious topics like racism in law enforcement and political extremism, as well as the use of social media. The BTS bandmates are no strangers to addressing social issues with music. In 2013 song “No More Dream,” the group touched on the issue of societal pressure that students in South Korea face. Laden with traditional Asian instrumental riffs, the playful diss track talks about how far the group has come despite obstacles it faced. “Where are your haters at?/Wash your eyes and face then look in the mirror,” takes a swipe at critics in the hip-hop scene, from which the group faced criticism in the early stages of their career. Ddaeng is an onomatopoeic word used when someone gets an answer wrong in a quiz, like the sound of a buzzer. The song was released on SoundCloud in the summer of 2018 around the group’s fifth anniversary in June as part of BTS Festa, during which a great amount of new content is produced to celebrate the group’s milestones. Written by RM, J-Hope, Suga, Pdogg, Supreme Boi and “Hitman” Bang, the song comes with more straight lyrics urging listeners to muster up the courage to go after their dreams, similar to more politically charged rap songs from the 1990s. It was one of two songs the group performed during at its debut showcase, marking the beginning of the group’s career. “Daydream” from J-Hope’s debut solo mixtape “Hope World” was released in March 2018. Produced by Pdogg and J-Hope himself, the song gives a hopeful outlook on life despite the difficulties. The album peaked at No. 38 on the Billboard 200 chart, with “Daydream” and “Airplane” both getting the music video treatment. In an interview with Time magazine, J-Hope said it had always been his fantasy to make a music video and perform with music he had created, and that his bandmates had inspired him to follow suit. “RM and Suga releasing their own mixtapes was the motivation for my own project,” he said in the interview. “Hangsang” is another track from J-Hope’s EP “Hope World,” featuring rapper Supreme Boi. The title means “always” in Korean and the track talks about how far the septet has come together from the early days of their career. The song charted No. 11 on Billboard’s World Digital Song Sales. “We Are Bulletproof Pt. 2” was the second single from the group’s debut album “2 Cool 4 Skool.” RM and Suga took part in the making of the song alongside producers “Hitman” Bang, Pdogg and Supreme Boi. The lyrics appear to have been written from the band’s own perspective.